LAS VEGAS — In a city that has thrived on tourists making questionable decisions, the Lakers decided it was not worth the gamble on compromising a significant long-term investment. The Lakers formally shut down second-year forward Brandon Ingram for the remainder of Las Vegas Summer League after suffering a cramp in his right leg in Friday’s summer-league opening loss to the Clippers. The Lakers said Ingram will likely stay in Las Vegas to train and practice with the team, but he will sit out beginning with Saturday’s game against the Boston Celtics at Thomas & Mack Center. When Ingram suffered the cramp late in Friday’s game, Lakers president of basketball operations Magic Johnson told Ingram and the Lakers’ coaching staff from his courtside seat that Ingram would have to miss the subsequent overtime period. 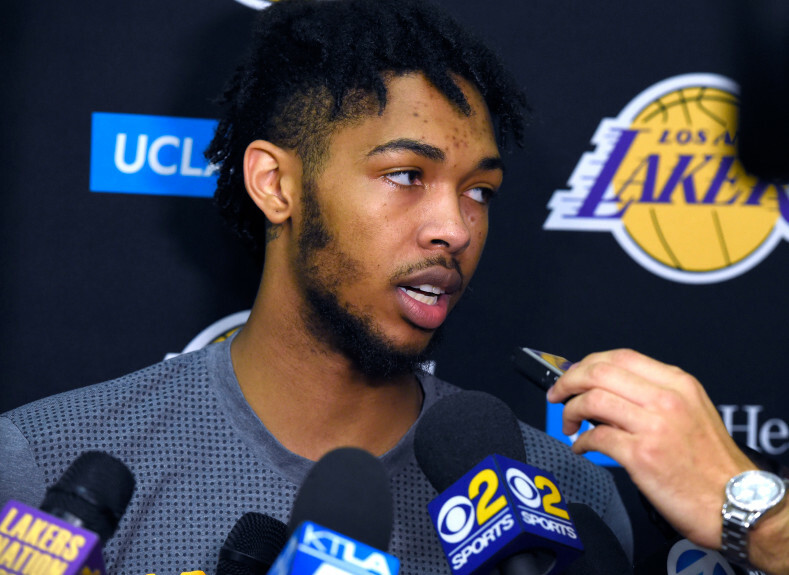 Though Ingram downplayed the injury afterwards, the Lakers still wanted to be cautious. Ingram was already expected to sit out at the end of Summer League after originally planning to play at least the Lakers’ first three summer-league games on Friday (Clippers), Saturday (Boston) and Monday (Sacramento). The Lakers then have at least two more games at a day and time to be determined based on results. The Lakers then could play in the summer-league playoffs beginning next weekend. Still, Ingram showed plenty of growth in the Lakers’ summer-league opener. He posted a team-leading 26 points on 9-for-17 shooting with three assists, three steals and two blocks n 31 minutes. Ingram fulfilled that role in various ways. Buechler has found the Lakers listening to Ingram because of a specific reason. Ingram earned his keep on the court. The Lakers designed plays for Ingram as he dominated with his improved footwork and post-up moves. Lakers rookie point guard Lonzo Ball threw what he called “a perfect pass” for an Ingram lob only 20 seconds into the game. After working on his shooting form with Lakers assistant Brian Keefe, Ingram looked more comfortable with his jumper.